If you missed the 2018 PPG Kanab Workshop then you are in for a treat. Dr. Frank McMillan is a fabulous speaker and was extremely well received by Workshop attendees! Social pain is a specific type of emotional pain that may be defined as the unpleasant feelings arising from the perception that social relationships are threatened, damaged, or lost. Different emotional states are included in social pain, but the most prominent is loneliness The array of experiences known to elicit social pain is broad, as it includes every condition that involves a weakening or loss of any form of valued social connection, including being excluded, rejected, ostracized, isolated, betrayed, an unwanted physical or psychological separation from a social partner, and death of a social partner. Research in humans and nonhuman animals has provided compelling evidence that social pain and physical pain rely on some of the same processing centers in the brain, suggesting that the unpleasant feeling of physical and social pain are similar. Accordingly, they both have great potential to cause suffering. And in fact, some evidence has indicated that that in humans and animals social pain can actually be more distressing than physical pain. The concept of social pain has important implications for the welfare of all social animals, but due to the emotional changes accompanying domestication, social pain has particular relevance in the domestic dog. It is now generally assumed that domestication in dogs enhanced the dependency on and attachment to humans, which would imply a strengthening of the social bonding emotions. This would suggest the likelihood that social pain may be more intense in socially deprived dogs than in other species. This information will play an important role in our interactions with dogs, including such factors as housing; what constitutes abuse, neglect, and cruelty; methods of training and discipline; dog breeding; and canine obesity. To gain a better understanding what social pain is and how it operates in animals. To learn about the research elucidating the unique nature of sociality in dogs and why social pain is likely more important to this species than other social species. To learn about the implications for social pain in a wide array of aspects of canine welfare. Frank McMillan, DVM is a board-certified specialist in animal welfare and veterinary internal medicine and currently the director of well-being studies at Best Friends Animal Society. Before coming to Best Friends in 2007, Dr. Frank was in private practice in Los Angeles for 23 years and was a clinical professor of medicine at the Western University of Health Sciences College of Veterinary Medicine. Dr. Frank’s research concerns animal quality of life and the mental health and emotional well-being of animals who have endured hardship, adversity, and psychological trauma. 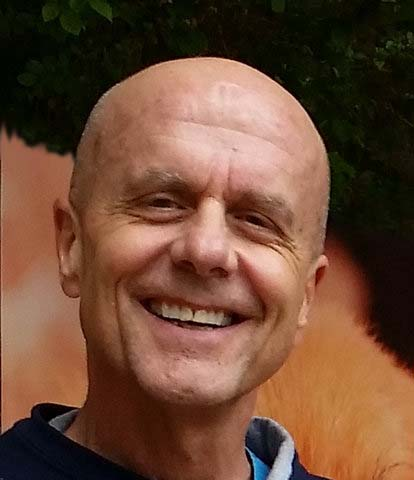 Dr. Frank lectures worldwide and has published dozens of scientific journal articles and is the author of the textbook Mental Health and Well-Being in Animals, and a book for the general public titled Unlocking the Animal Mind.